Holy Spirit Church, Margao - GoGoaNow ! "The church is famous for the feast of Pentecost which is celebrated on the fiftieth day after Easter, which commemorates the descent of the Holy Spirit upon the Apostles of Jesus." The first church that was built in Margao was constructed by the Jesuits is 1564. 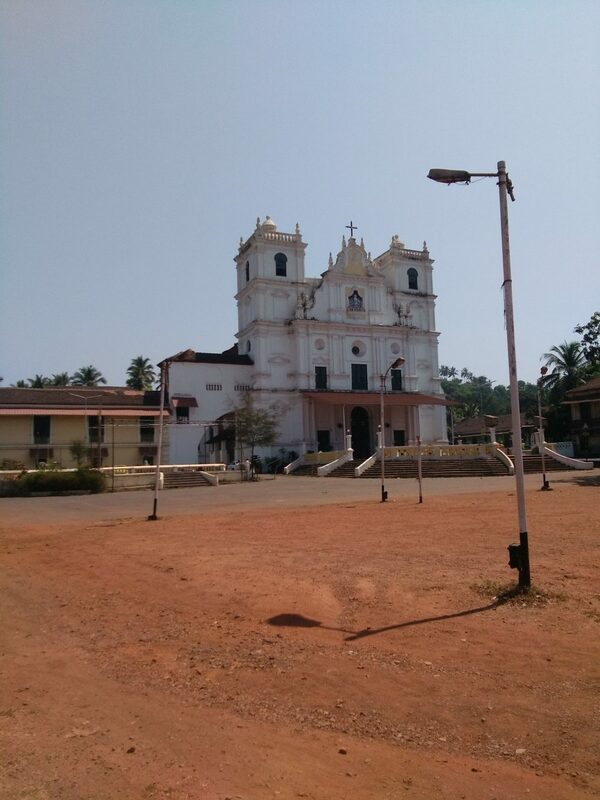 The site for the church was selected by the first Archbishop of Goa, Dom Gaspar de Leao Pereira and the first mass was celebrated in the church in 1565. However, this church was later destroyed by the armies of Adil Shah in 1571 when they retook the territory from the Portuguese and tore down the church. The Portuguese later took back the land but refrained from building another church until they were sure that the territory was completely secured and defended, although they constructed smaller chapels and churches during this time. The construction of the present day church began in 1645. Due to the lack of funds, the construction of this church took 30 years to complete. The church was consecrated in 1675. According to the historical records, this church is built on a different site from the one that was originally constructed in Margao. There used to be an old factory on the site, which was torn down to make room for the church. This church is a superb example of Indo-Baroque architecture and is also famous for its superbly carved and decorated interiors. It is thought that the façade was built along the lines of the Augustinian church which used to stand on the hill in Old Goa. The central section is divided into the three orders, while the towers which frame it are divided into four, slightly set-back, orders. The tower crowns are comprised of drum, cupola and lantern. This type of tower top is known as zimbórios, and these are the oldest to have survived in Goa. The church also houses a fully functioning pipe organ. The church is famous for the feast of Pentecost which is celebrated on the fiftieth day after Easter, which commemorates the descent of the Holy Spirit upon the Apostles of Jesus.